The Electronic Logging Mandate is set to be published September 30th, 2015. The Electronic Mandate Rule publication is believed to be set for September 30th, 2015. 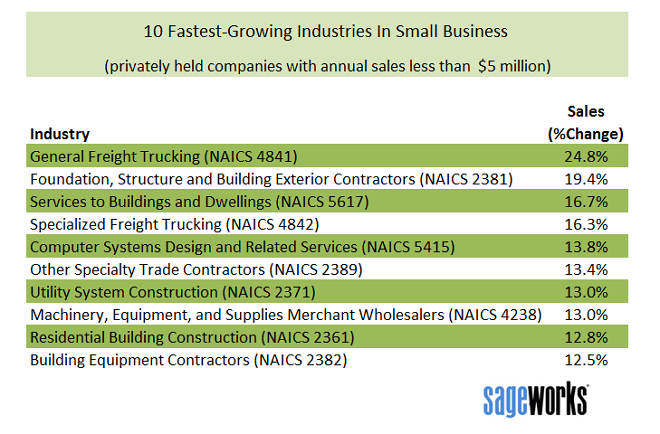 We’ve seen a whirlwind of trucking regulatory activity in the first 8 months of year and more is expected heading into the 4th quarter. While some of the DOT’s Federal Motor Carrier Safety Administration’s upcoming rules have again been pushed back, others remain on course to be published this month. Speed limiter mandate: A proposed rule to mandate the use of speed limiters on all heavy trucks was expected to be published Aug 27th. However, as of September, the rule has been pushed back for an extended review. The rule was sent to the OMB months ago for approval. Once in effect, this rule will require the use of speed limiters on all trucks weighing more than 27,000 pounds. Electronic logging devices: A Final Rule mandating the use of electronic logging devices by truck operators is still scheduled to be published Sept. 30, according to the report. The proposed rule for the mandate was published early last year. Enforcement of the rule begins two years after its publication in the Federal Register — the date by which all drivers must begin using ELDs. The DOT report projects the rule to be sent from FMCSA to the Office of the Secretary of Transportation this month and then to be sent to the White House’s Office of Management and Budget for its approval next month. Safety Fitness Determination: The agency’s rule to implement a scoring system for carriers that will yield an absolute score — rather than just the percentile rankings in the agency’s Compliance, Safety, Accountability program — has been pushed back again. It’s now slated for publication Sept 9th, another nearly month-long delay from the Aug. 17 projection in the DOT’s April report. The agency’s March report, however, had projected a mid-July publication date. Commercial Driver’s License Drug and Alcohol Clearinghouse: FMCSA’s rule to establish a database of drivers who have failed or refused a drug or alcohol test is still slated to be published as a Final Rule on Dec 14th. The agency published its proposed rule last year. Click here to read CCJ’s coverage of the proposed rule. Entry level driver training: FMCSA is now forecasted to publish an entry-level driver training rule Oct 15th. The rule would put in place minimum requirements for entry-level drivers along with minimum testing requirements. The rule is being produced be a so-called “negotiated rulemaking” with industry stakeholders. Prohibition of driver coercion: The publication date for a rule to impose stiffer penalties on carriers, shippers brokers and others who coerce truck operators to drive in violation of federal safety is now projected to be published Sept 25th publication date. The rule is projected to be sent to the OMB for approval in mid-June. Click here to read CCJ’s coverage of the proposed rule. Electronic stability control system mandate: NHTSA’s rule to require that all new trucks be equipped with stability control systems that prevent rollovers and loss of control accidents is projected to be published in mid-June. It is expected to clear the OMB June 4. Fuel economy standards, Phase 2: The next round of fuel efficiency and greenhouse gas emissions regulations are in the works by NHTSA. The publication dates in the Federal Register do not appear to have been updated in recent months. The new standards would be for 2018 year model trucks and later. 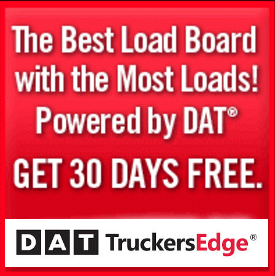 The Federal Motor Carrier Safety Administration (FMCSA) has published its Congressionally-mandated rule to require all “Interstate” motor carriers operating commercial motor vehicles (CMV’s) with drivers required to prepare paper record-of-duty (ROD’s) to install electronic logging devices (ELD’s). ELD’s is the new term being used by the feds in place of the previously used term – electronic on-board recording (EOBR) device. The rule making was published in the Federal Register on March 28, 2014 beginning a 60 day public comment period which will ended on May 28th. 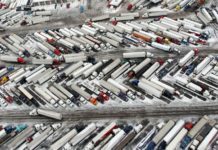 FMCSA then reviewed all submittals and is expected to issue a final rule this month. Motor carriers would be required to install ELD’s within two years of the date of final publication. 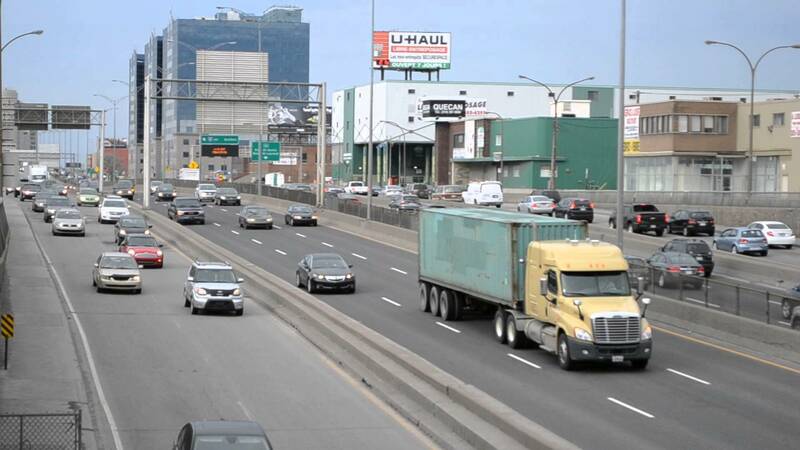 Some owner-operators are already referring to the deadline date to be longer awaited, likely in 2016, as their retirement day objecting to what they view as another example of government intrusion into their daily lives for little or no safety benefit. Guidance: Yes. However, when the motor carrier changes the normal reporting location to a new reporting location, that trip (from the old location to the new location) must be recorded on the record of duty status because the driver has not returned to his/her normal work reporting location. For California based construction trucking companies, this guidance would allow you to work essentially up to 100 miles into a border state without needing to install an ELD as long as you establish a “normal work reporting” location on the California side of the border. For example, you have work on I-10 in Arizona and establish your base at a hotel in Blythe, CA., and use that site as your new “normal work reporting” location for the duration of the job. Go beyond the 100 mile radius and you WILL need to install an ELD under the proposed regulation unless the next provision is adopted in the final rule. There is also a new proposed exemption for drivers who “infrequently” exceed the “short haul” exemption requirements. FMCSA is proposing that drivers who are only required to use paper ROD’s for no more than 8 days out of 30 be exempted from the ELD mandate. The rulemaking also allows motor carriers to select either a GPS enabled device or one that uses cellular positioning. The ELD would be required to be connected to the trucks Electronic Control Module (ECM). Older trucks don’t escape this mandate for integration. If the truck is equipped with a mechanical engine, you would need to make expensive upgrades to enable any of the approved ELD’s to work properly. 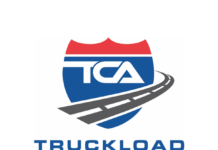 This rule making has been actively supported by the American Trucking Associations under the guise of “leveling the playing field” since many of their larger members have installed ELD’s. Some of those same members were forced into installing ELD’s under consent agreements after having failed a federal compliance review – guess they want everyone to share in their self-imposed pain. The rule making is likely to face another legal challenge since the Court of Appeals for the 7th Circuit in Chicago vacated the previous rule to mandate installation of ELD’s. 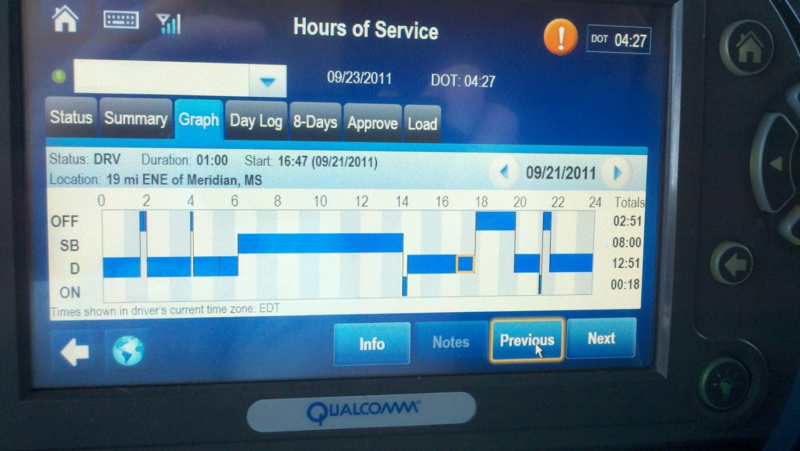 In that legal challenge brought by the Owner-Operator Independent Drivers Association, the court agreed that FMCSA did not adequately address how these electronic devices could be used by motor carriers to “harass drivers.” FMCSA’s attempt in this rulemaking to address the concerns of the court does appear to be “minimalist” in nature. The agency is mandating that when a driver indicates sleeper berth status, the driver can manually mute or turn-down any volume control related to instantaneous communication from the motor carrier. They are also proposing to expand a hot-line for driver whistle-blower type complaints of mistreatment. When the Court of Appeals for the 7th Circuit issued its decision on August 26, 2011 the court telegraphed an interest in exploring “privacy” concerns surrounding a rule mandating ELD’s but did not rule on that issue since they had already decided to vacate the entire rule making. Within this new rule making, FMCSA seems to be taking a pre-emptive position on “driver privacy” obviously anticipating a legal challenge since the agency is not mandating the devices be capable of exactly pinpointing a location but instead only require an ELD is accurate to within a one mile radius.